Many moons ago now I bought a little netbook for the purpose of having something I could use to write my blog and generally surf with while Ang used our main laptop to surf, shop and generally do whatever it is she does. Though it did travel to the states with me, it hasn't otherwise see a whole lot of use but I think it probably will now. When I bought it, the little Samsung N145 came with Windows 7, a sizable enough hard drive and an impressive battery life. Unfortunately the Atom processor, though frugal, isn't great with Windows 7 and things could take rather longer than I like. It booted very slowly and applied updates slowly. Being disinclined to wait for it to start when my phone (usually) does most of what I want my laptop to do, I started it seldom and when I did, ended up waiting ages for the darn thing to apply updates. 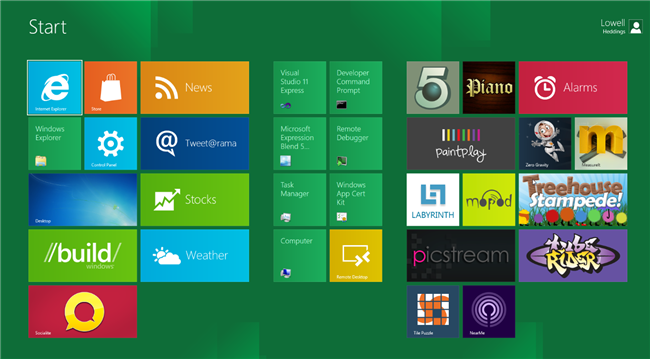 Then I saw Windows 8 with its swipey, tappy, appy mobile style interface and hated the idea. In part I hated it because I'm starting to get old and stuck in my ways so fear change. However, it also seems to me the whole idea is not going to work on a traditional PC or laptop, of which I have many. Fortunately I have Windows 7 (or had) and that is actually really rather good in that it's shinier than XP and isn't Vista. It did get me thinking about the other options though. There was a time, when I was poorer and had more time to build my own computers from the scraps thrown out by others, when I played with various Linux distros. I always liked one in particular for its simplicity and, um, well, its simplicity really. Xubuntu is like the most popular distro Ubuntu Linux but with fewer system requirements. It meets my requirements more quickly than plain old Ubuntu and is an awful lot quicker about it than anything with the prefix MS. What's great though is that the current version has improved without appearing any different. I installed it on the N145 expecting to have to mess with wifi drivers, figure out why the sound wouldn't work, find all sorts of workarounds and be eventually frustrated by stuff generally. But no! It really did just work. I've yet to find anything that doesn't work. Even DropBox works. The simple, straight forward XFCE desktop interface is there along with the the simple file system. It's not shiney but it works great. Clearly, I'm not fully hip, down with the kids or with it. I still can't see why people get addicted to Apple stuff having owned an IPad (though I am hugely concerned by my offspring's obsession with it). However, I know what I need, and right now, I need something that gets me on the net, checks my email, feeds me my twitter and when absolutely necessary lets me do work. 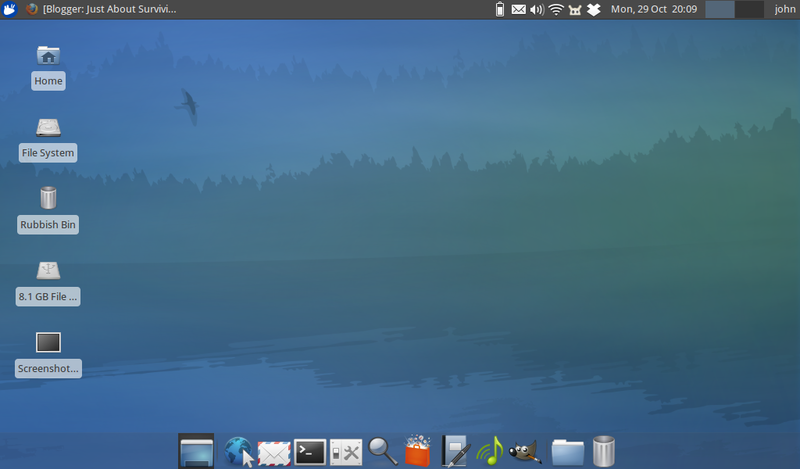 Xubuntu appears to do that very well indeed so I'm very happy and so is my netbook.